Eric Muñoz has more than 15 years of experience in the financial markets and has been a financial advisor at UBS International since 2001. As a vice president of wealth management, he works closely with select high net-worth families across North America, South America and Europe to develop highly customized financial plans and wealth preservation strategies. 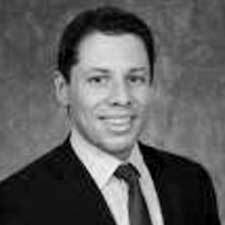 Mr. Muñoz is a 2000 graduate of Florida State University with a bachelor’s degree in finance. While a student at FSU, he was an active member of Delta Tau Delta Fraternity, worked for three years at Tallahassee State Bank and graduated with honors. In 2007, he earned his master’s degree and graduated with honors from Florida International University. Mr. Muñoz has stayed involved with FSU through the Miami Seminole Club as past president and current board member. He is also a board member of the Crockett Foundation and Delta Tau Delta Fraternity – Delta Phi Chapter. He currently resides in Miami, Florida, with his wife, Stacey, and their dog, Lucy. He enjoys CrossFit, golf and basketball, in addition to attending sporting events and giving back to the community. Mr. Muñoz was a presidential appointee to the board and plans to share his passion for FSU through his new role.